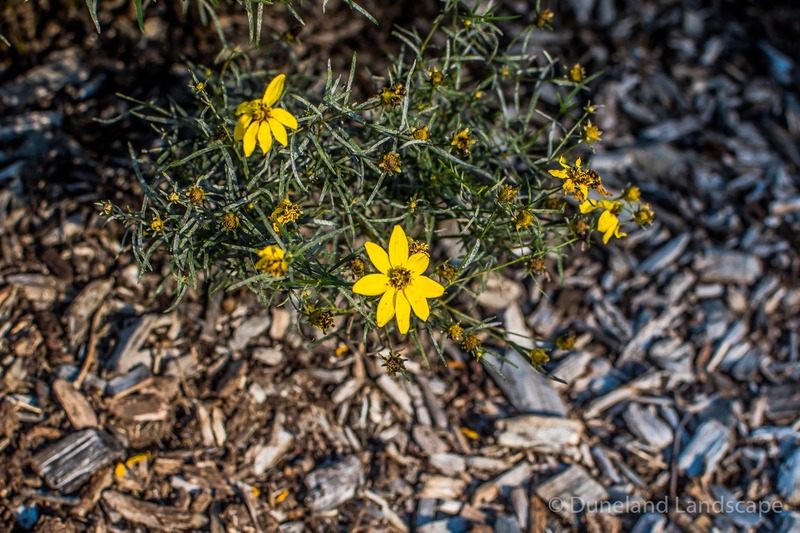 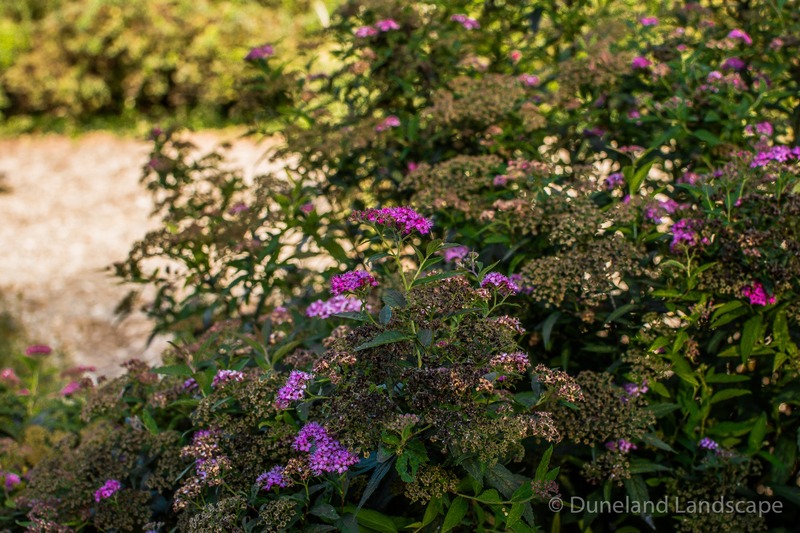 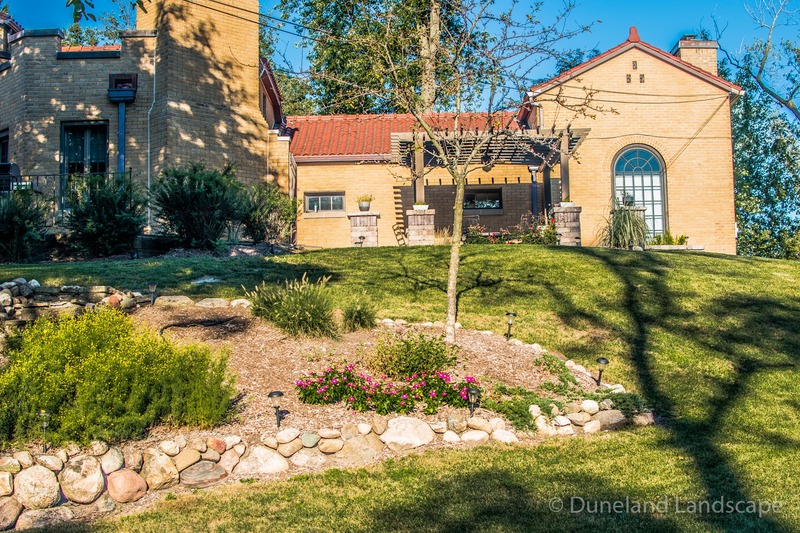 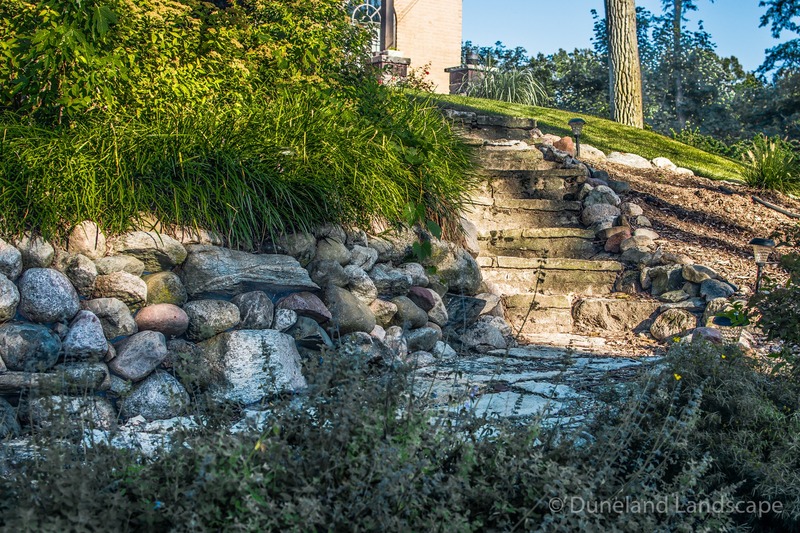 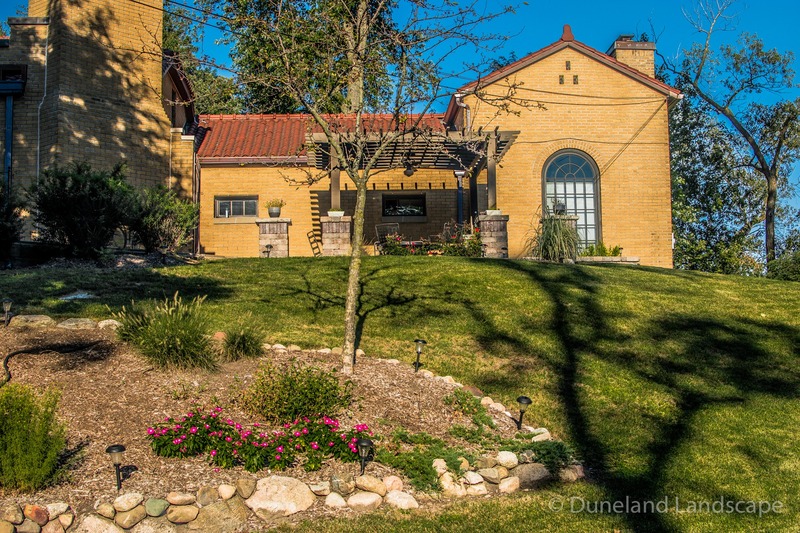 Duneland Landscape is trusted by Northwest Indiana for more than just landscaping design. 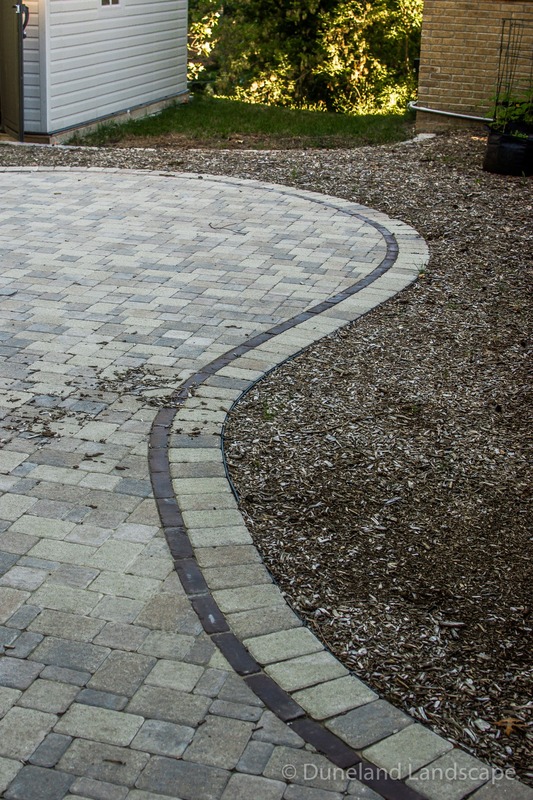 We also design hardscaping for a variety of our clients using trusted materials to create the perfect outdoor living environment. 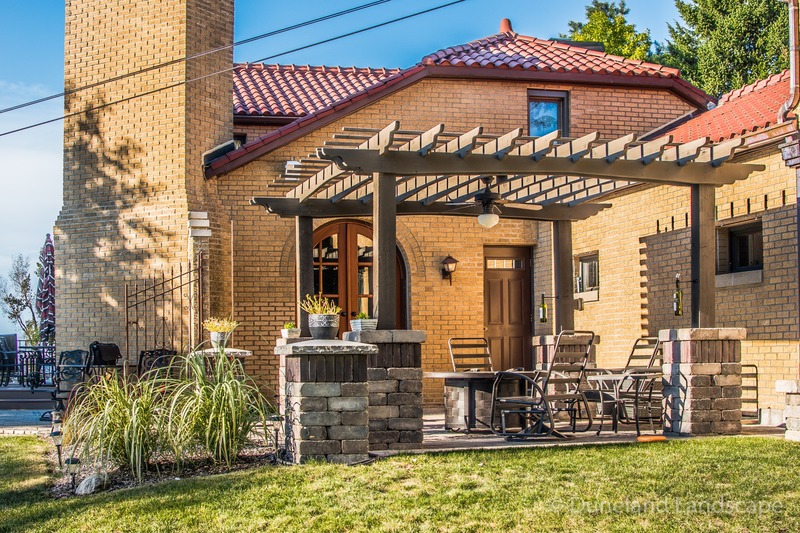 For this home in Ogden Dunes, Indiana, Duneland Landscape designed and installed a beautiful pergola, wooden deck, paver patio, and retaining wall for outdoor functionality throughout the seasons. 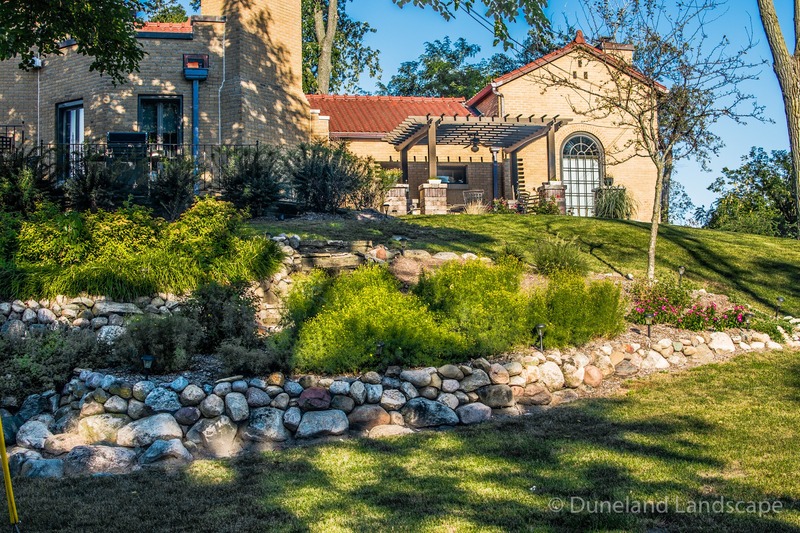 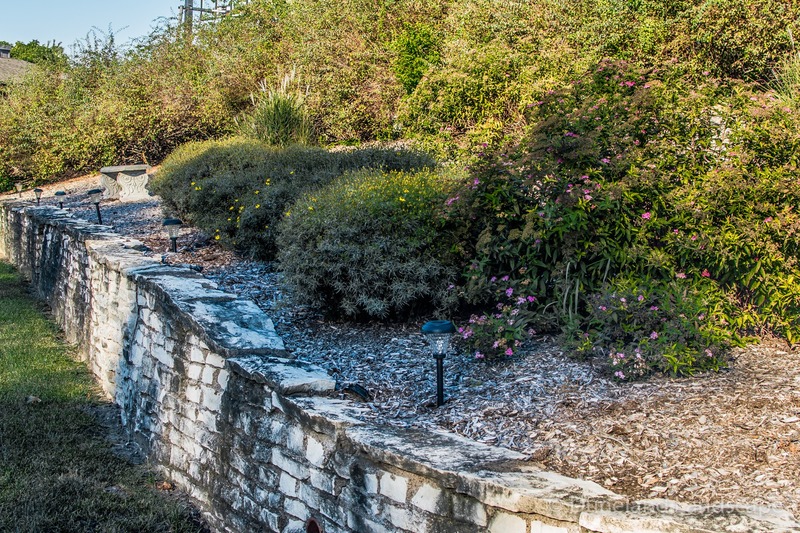 This custom outdoor hardscaping design project began with the need for a shaded area that compliments the Spanish-style architecture of the home. 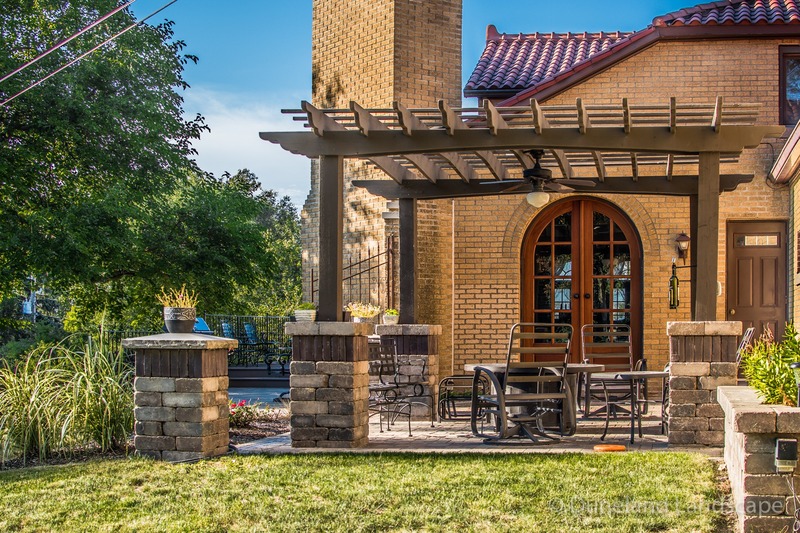 We designed and installed a wood pergola with custom cuts for design appeal and brick paver columns for support. 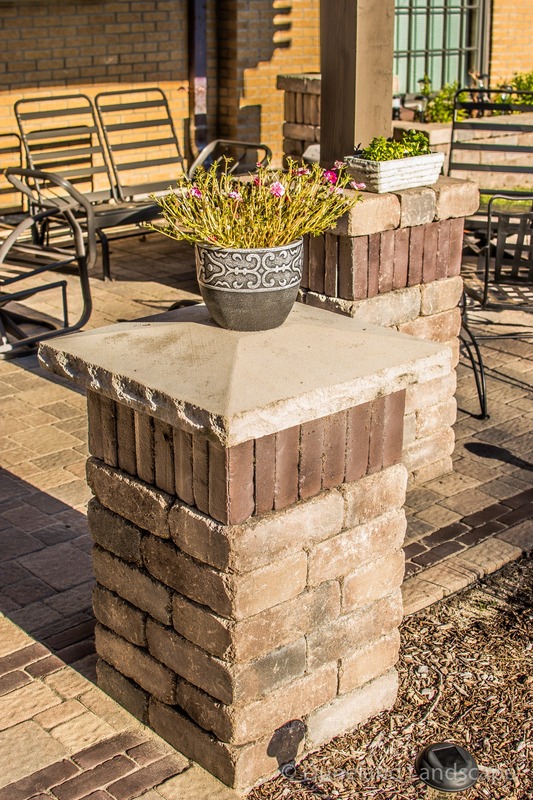 In the center of the paver patio directly below the pergola, we installed an above ground fireplace that acts as a common area for the family to sit and enjoy on cool nights. 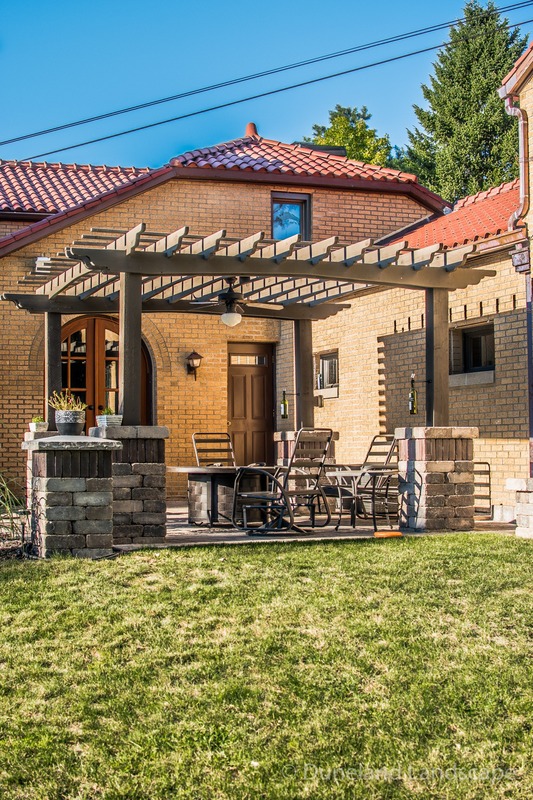 The landscaping project at the Ogden Dunes home did not end with the pergola installation. 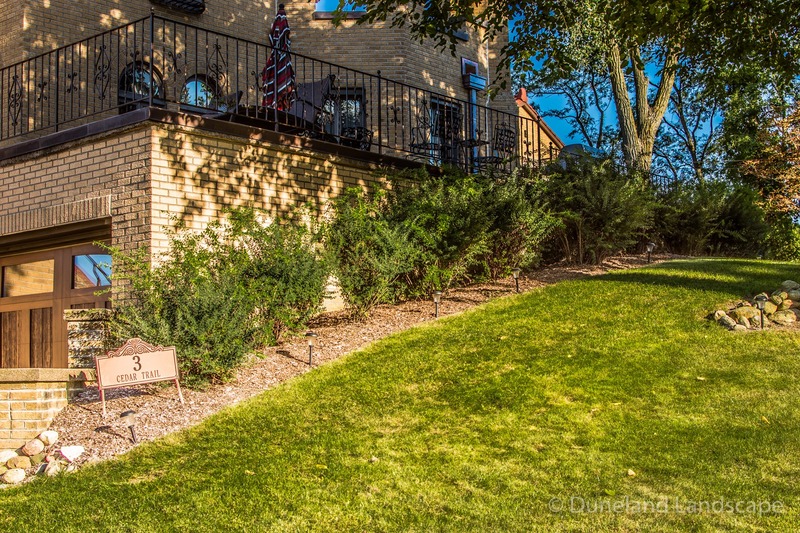 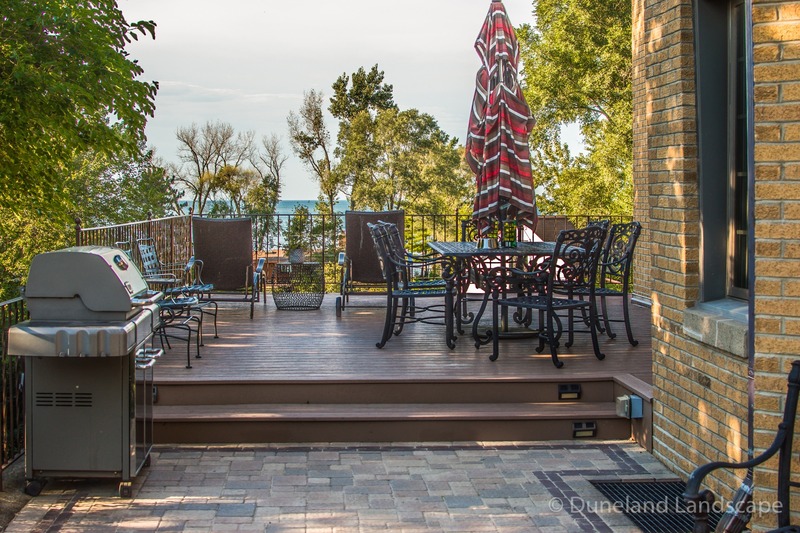 Duneland Landscape also installed a wood deck with wrought iron fencing for durability and longevity. 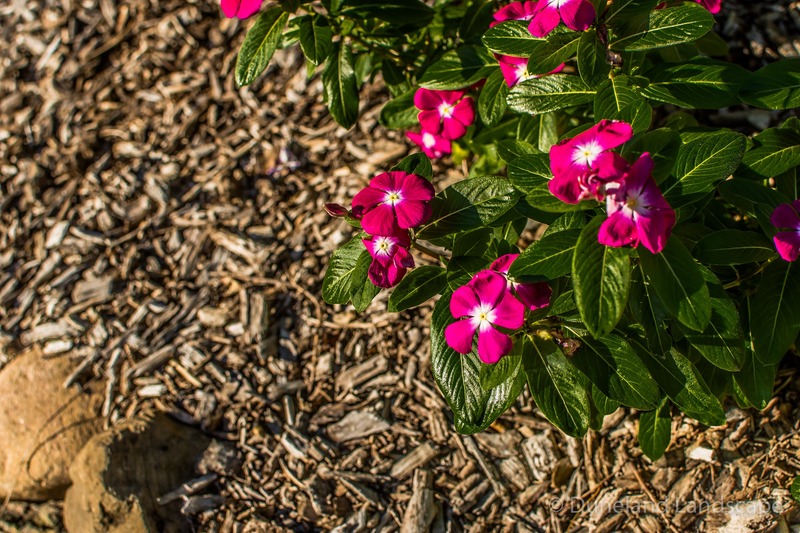 Surrounding the hardscaping of this home, we added a mulched flower bed with bright pink flowers and small shrubbery to incorporate lush green elements to the mostly brick design. 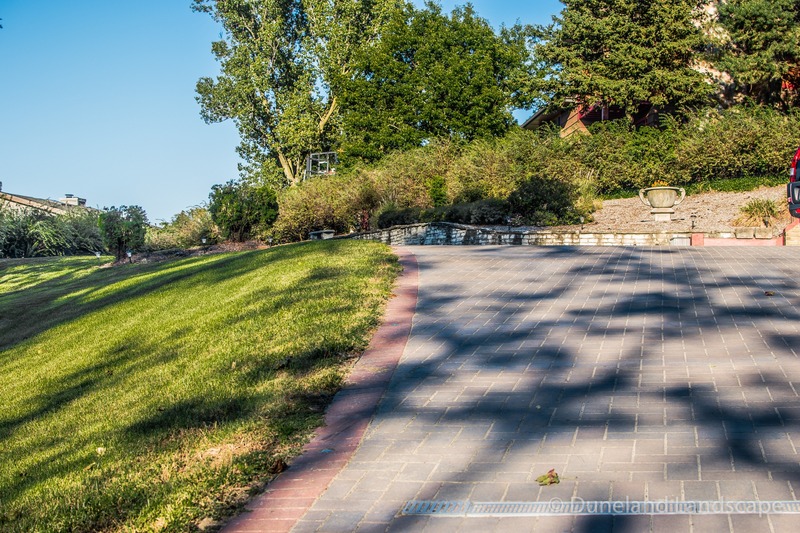 Hardscaping and landscaping design that complement the backdrop of your home are essential to increasing curb appeal. 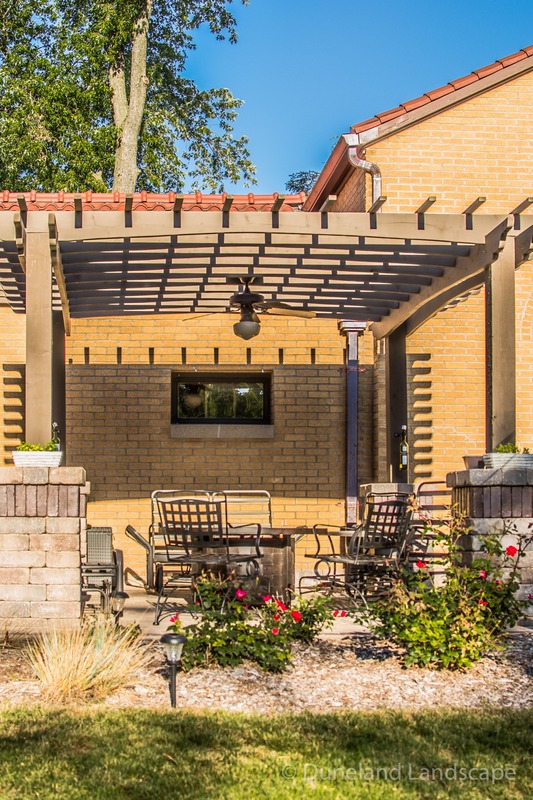 Adding these elements into your home’s exterior can also improve functionality and create an extended living space for your family to enjoy outdoors. 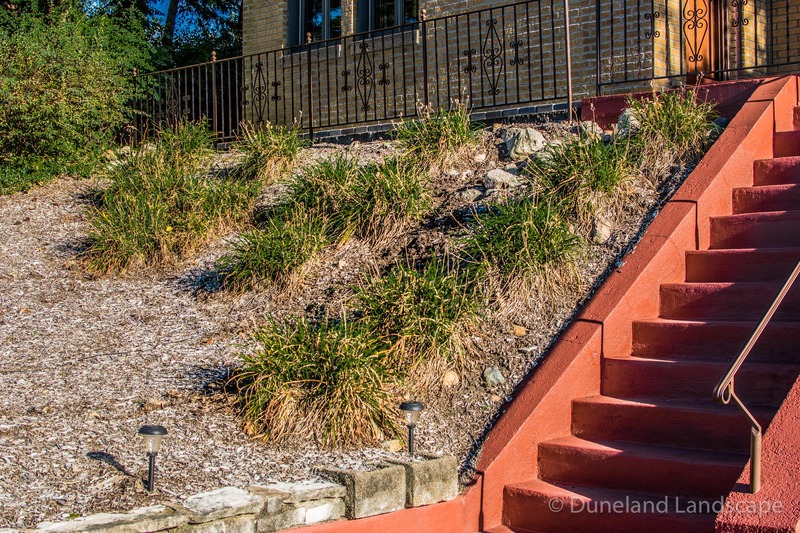 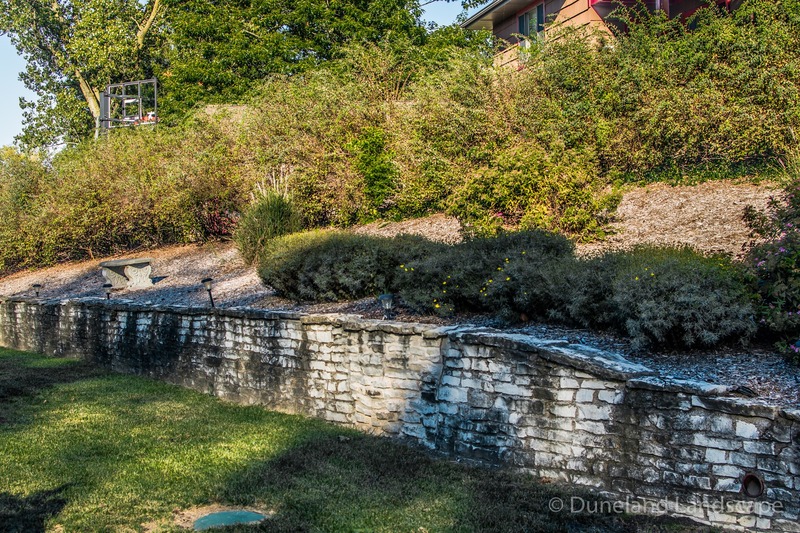 Contact Duneland Landscape today to get started with your home’s outdoor living area design.